Joomlaproffs invest in more e-commerce than in the past and part of the initiative on this is inskaffandet of virtuemart.se who come to shop keeping tips, news and other useful information about the right e-commerce component, Virtuemart. VirtueMart is a component that has its roots in Joomla's roots and has been actively developed since 2005. 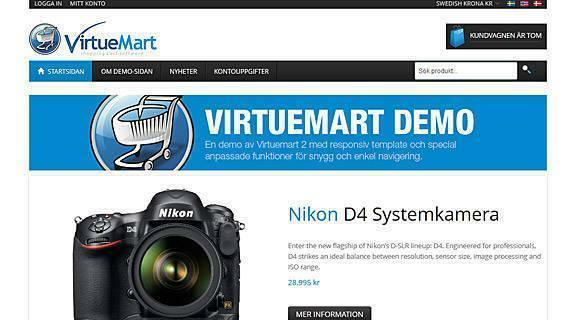 In connection with that new virtuemart.se launched, we have also set up our custom Virtuemart 2.0 installation with responsive design and a "One Page Checkout" that makes the steps from the visit to purchase minimal. Here you can see the strength of Virtuemart 2 MVC structure for the frontend. 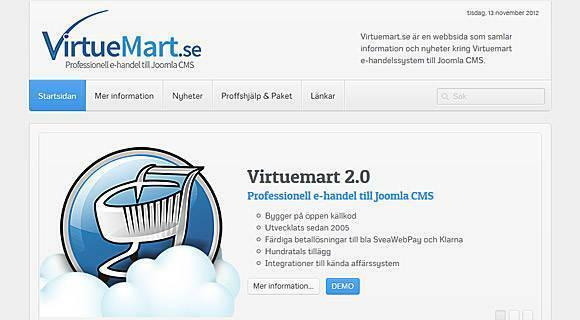 Feel free and try our demo http://demo.virtuemart.se and visit www.virtuemart.se For more information about Joomla e-commerce; Virtuemart! Do you have questions regarding e-commerce and CMS Joomla? Do not hesitate to contact us! You have not missed our payment module for Klarna Checkout to VM2?